Budgeting is a tried and true method for effectively managing your finances. It provides a clear outline of how much money you have coming in and going out within a 30-day period. Though there are many ways to budget, some people opt for a zero-based budget method. This is essentially where every cent you make is allocated to an expense or investment. It has its advantages, as it prevents you from spending money unnecessarily, but on the downside, it doesn’t provide any room for error. What is a Buffer And Why Do I Need One? Simply put, a buffer is a cushion or nest egg. A predetermined amount of excess income that isn’t attached to another expense which can be used in times of need. It’s separate from emergency savings and helps individuals to remain financially stable. Below is a look at why a buffer is necessary for effective budgeting. 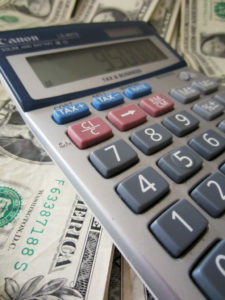 Fluctuating Expenses – There are some bills that will remain the same amount each month like a car or mortgage payment. Then, there are bills that can fluctuate based on your usage or the industry like your utility bills and cell phone bill. Since you can’t pinpoint to the penny how much you’re going to have to pay, having a buffer can help you to cover those months when the bill is more than you anticipated. You’re Human – Have you ever had a bill come up that you completely forgot about? If all of your money is accounted for, how do you pay this bill? This commonly happens with things like subscription services and bi-annual services like HVAC maintenance or pest control. It can also happen with life events like forgetting the need to buy a gift for your friend’s birthday. A buffer ensures that you can handle these overlooked bills without tapping into your emergency savings. Life is Unpredictable – It doesn’t take much to throw a budget off balance and if you haven’t created any wiggle room it could leave you in big trouble. A shutoff notice from your utility company, your car breaks down and needs repairs, or you’re in between jobs and waiting for your next paycheck, anything could require immediate funds and without a buffer, you don’t have many options. If you’re currently struggling with something financially and you need immediate cash there are short-term lenders like MaxLend.com that will deposit up to $1250 into your account if you’re eligible. This would allow you to take care of the problem and provide you some time to repay the loan. Use coupons for everything. Whatever the value of the coupon, apply this savings to an account to use as a buffer. Take a bag lunch. Instead of eating out every day, start taking a lunch to work and use the money you would have spent at a fast food spot to create a buffer. Save your change. Start using cash to pay for things. When you get change from the cashier, put this change in a jar. At the end of the month, cash in the coins and deposit them into your account. Earn money on the side. Become a mystery shopper, run errands for the elderly, house sit for friends while they’re away. Anything you can do to generate cash, add this to your buffer account. Having enough money in the bank to cover your bills each month is commendable. Unfortunately, there are individuals who still have a hard time with this. Be that as it may, applying every penny you earn to a bill or expense leaves you with very little room for error. As humans sometimes forget and life is unpredictable, having a buffer ensures that you’re able to handle problems big and small without the need of going further into debt.